Do you know what is Althea Beauty Box? It is actually a limited edition beauty box which is specially curated by the fairy team in Seoul. Althea will be promoting 2 - 3 thematic boxes on every month so get ready to grab them all before out of stock. The beauty box could come with 5 - 12 full-size products depending on the theme and value. So, let's see what I have got for this time! 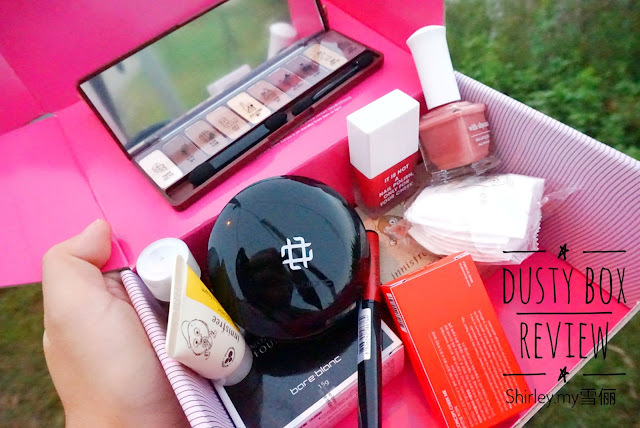 I got the ✿Dusty Rose Box✿. 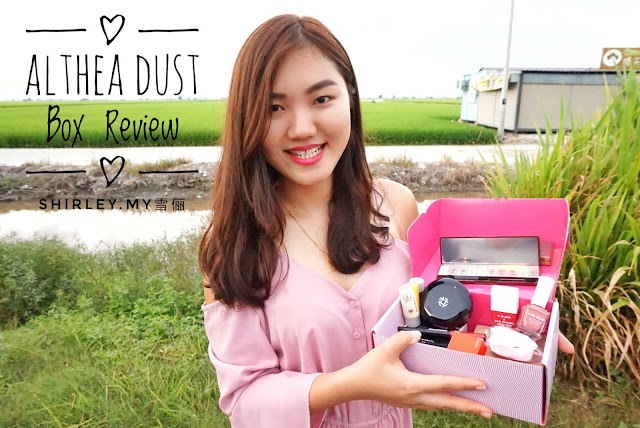 Dusty Rose Box is filled with five full-sized Kbeauty cosmetic products and one Innisfree Pore Care Kit. Everything is about dusty pink in this box and you gotta love this very much if you are a lover of dusty pink. What's inside Dusty Rose Box? My first item in Dusty Rose Box is Bare blanc Moisture Lock Foundation. It is manufactured by Cosmecca Korea. It contains Rosa Damascena flower oil, argan oil, olive oil, niacinamide and adenosine. 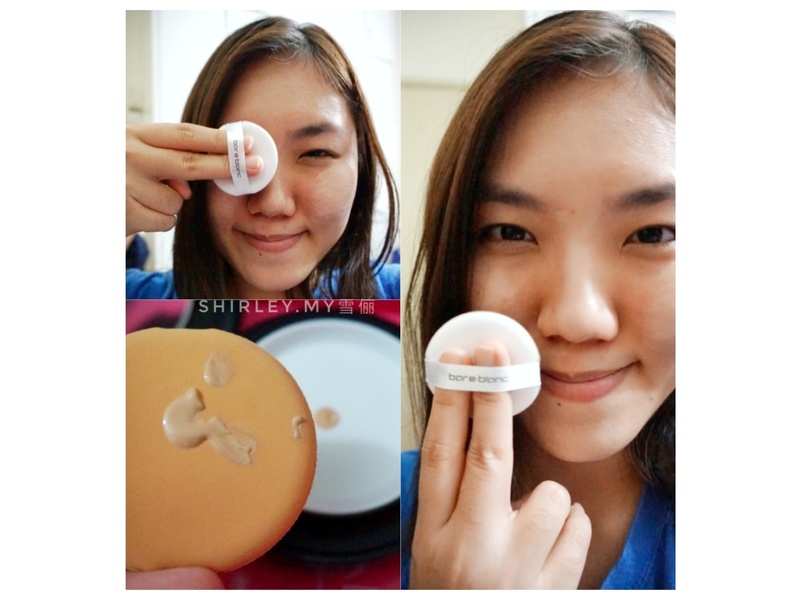 It comes with an airless pact which protects the moisture of foundation perfectly. I have tried it out on my face and the liquid foundation is so easy and smooth to apply onto my skin.Its time reverse oil capsule gives elasticity to skin. I found that this foundation is quite unique as I need to press the palette so the liquid will spill out.Then, mix moisture and oil capsule by rolling softly on a puff. After that, tap gently onto entire face for fit. 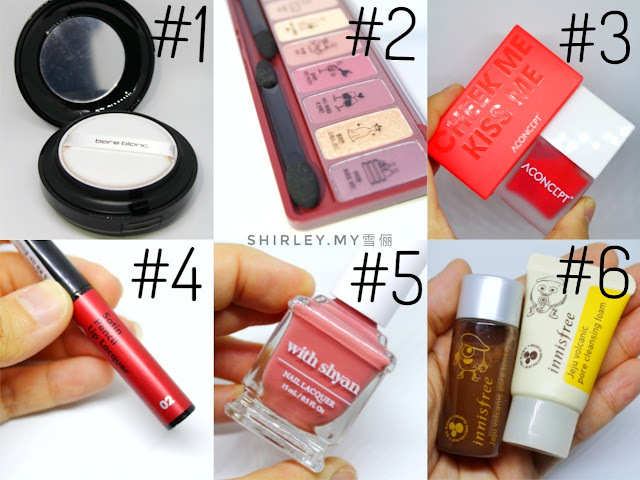 Next, my second item found in Dusty Rose Box is Etude House Play Color Eyes in #WineParty. I am really excited to receive this because the color of the eye shadows are truly pretty. It comes with 10 different colors of eye shadow which reflecting deep, rich wine colors. 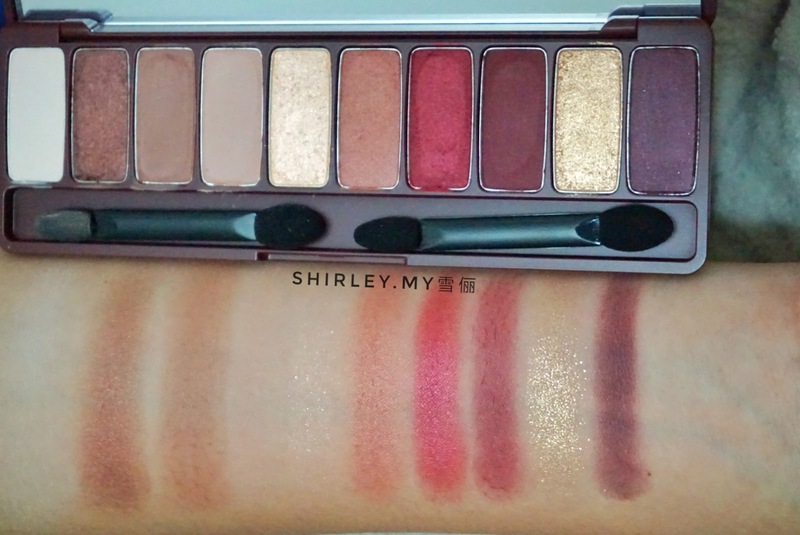 I swatch it on my skin, you can see that the colors of the eye shadows looks fine and smooth. This is perfectly nice for me to attend party! Take note! 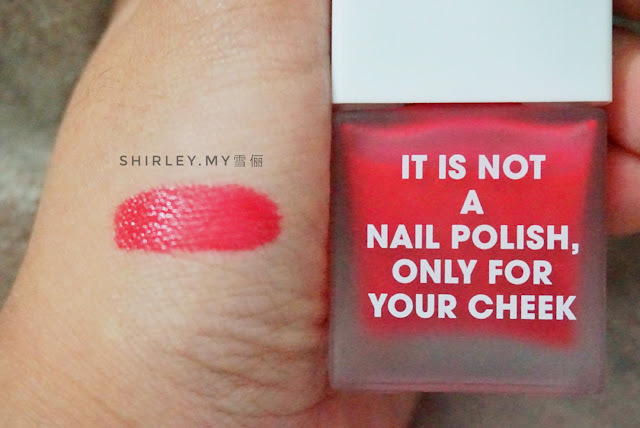 It is not a nail polish! :D The design of this product is really interesting. It looks like a nail polish but yet it is a cheek blusher. It is in liquid form so just apply few dots on the skin and blend it out. I found that if I apply for too much on my skin, and when I remove it, it seems to have leftover red mark on my skin. So my suggestion is, apply with appropriate amount onto your skin is enough. Here comes to lipsticks coloring time! When I first see this product, it looks so similar to eyeliner pencil to me. 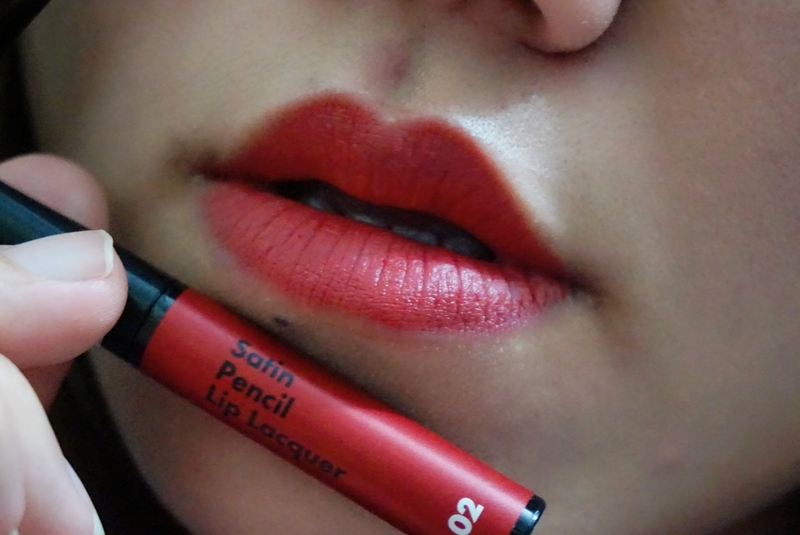 I am in love with this lipstick pencil. Why is it called as a pencil? Yeah, its applicator is really thin and I found it is super easy to apply on my lipstick. I can fill in every single corner of my lipstick with this pencil. It is so cool right! This is the thinnest lip applicator that I have ever had and it works perfectly fine on my lipstick. Have some colors on your nails? I got a dusty pink color painted on my nails! It is so pretty! I don't really like some of the nail polish out there because some of them are so hard to apply. But this one is just just to me. I don't hard-promote it but I really found that it is very smooth and easy to apply, I could get it done by just few swatches. There is a sample kit of Innisfree Jeju Volcanic Pore Care Kit in my Dusty Rose Box. It is quite suitable for travel use. This kit comes with one Jeju Volcanic Pore Cleansing Foam 10ml, Jeju Volcanic Pore Toner 13 ml and Jeju Volcanic Pore Care Kit cotton.